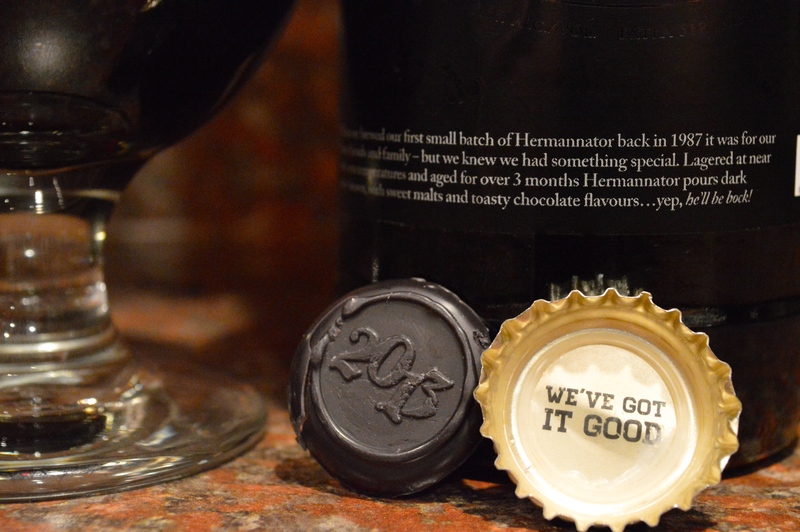 Hermannator has been brewed seasonally every year since 1987, when it was originally brewed in a small batch as a gift to friends and family. Over the past 27 years the recipe has remained largely unchanged and has become a fixture amongst the Beer Illuminati in B.C. Herman Hoerter was the brewmaster at VIB at the time and wanted to brew something traditional from his German roots, so an Ice Bock was chosen. 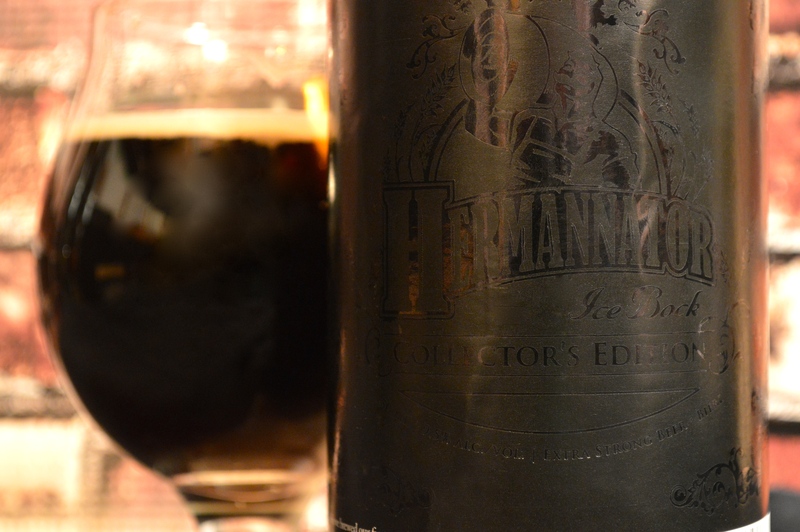 After leaving Vancouver Island and passing down some legendary recipes, Herman eventually returned to Germany and even spent a few years brewing for the Bavarian Royal Family. He’s still around, doing contract brewing occasionally, and remains deeply involved in the world of beer. Ice bocks are a unique type of dark lager that begin with a massive load of malt relative to the amount of water. This creates a mash so heavy that the brewer’s are cautious of the strain being put on their mash tun for fear that it could damage their equipment! Once the brewing process is done the beer is just below water-freezing temperatures for three months which creates more starchable sugars for the yeast to turn into alcohol but it also lends itself to a smoother flavour which is why you don’t get a hot boozy nose from a 9.5 ABV beer. Using the same lager-yeast used in VIB’s other lagers, this creates the necessary bottom-fermentation Hermannator needs to get the yeast attacking those sugars, although the process is significantly longer for this ice bock. Did you know that bocks are often given a name with “ator” at the end as a way to pay homage to the original Doppelbock which was named “Salvator” by the monks who brewed it? Now you do. In the past this beer underwent minor filtering, however this year it was completely 100% unfiltered. Also new to 2013 is the 650ml bomber bottle in a beautifully wax-sealed black on black bottle for those who choose to cellar this bottle for future enjoyment in hopes that aging this beer will allow the beer to develop new characteristics. Jeff told me that he has known some who have aged Hermannators for as long as five years, but I bet there are a few older ones out there somewhere! Whether you are having it fresh or aging it for years, the Hermannator is best served in a snifter or tulip glass to focus the heavenly aroma. Enjoy this beer at approximately ten degrees Celsius to ensure you are getting the full experience of all it has to offer. If you want to try a simple experiment, try a small sample of this beer at a colder temperature, then wait a few minutes to let it warm. Try it again at the warmer temperature and notice the difference between the complexity in taste. Without divulging any secrets, Jeff assured me that Vancouver Island Brewery would certainly be doing something special for their upcoming 30th anniversary in 2014. We’ll have to wait until Spring to find out more including details about a special 30th anniversary beer! Gluten-free and delicious? Pas de problème!